If you’re passionate about spending your free riding waves, you may be keen to share your love of surfing with your kids. Teach your kids how to ride the whitewash at your local beach, on a child-sized boogie board. As it’s far easier for your kids to make the transition between riding a boogie board and a surfboard than to learn how to surf, with no prior watersports experience. It’s well worth using your longest surfboard, to teach your kids how to surf as you’ll easily be able to balance your kids on the front of your board. Which will allow you to confidently push your surfboard around so that your kids get used to the feeling of riding a surfboard. It’s well worth renting a 7-9 foot long board, which boasts a foam top. As surfboards which feature foam tops are far more forgiving. Better yet, if your kids fall, they’ll be far less likely to hurt themselves landing on a foam surface, rather than a traditional hard top surface. Even if your kids are confident swimming in deep water, it’s important to invest in kid-sized life vests as if one of your kids falls into the ocean, they may get overwhelmed by whitewash or a dangerous rip. While it’s true that kids grow out of their clothes in the blink of an eye if you choose wetsuits which are too large for your kids, they may develop painful rashes. Caused by their wetsuits rubbing against their skin. While if you purchase wetsuits which are too tight for your kids, they’ll end up complaining about how uncomfortable their wetsuits are. 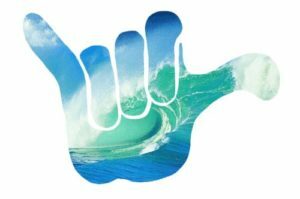 Remember, that you want your kids to associate surfing with positive experiences. After all, if your kids enjoy spending time learning to surf, they may develop a lifelong passion for surfing. Ideally, you should teach your kids to surf, when your local beach boasts waves which are small enough, that you comfortably stand behind your kids’ surfboard. So that you can hold on the tail of the board. When a suitable wave comes along, simply guide your kids’ surfboard along with a free hand. Encourage your kids to put them palms face up on their surfboard when they stand up and to arch their backs when they stand up. 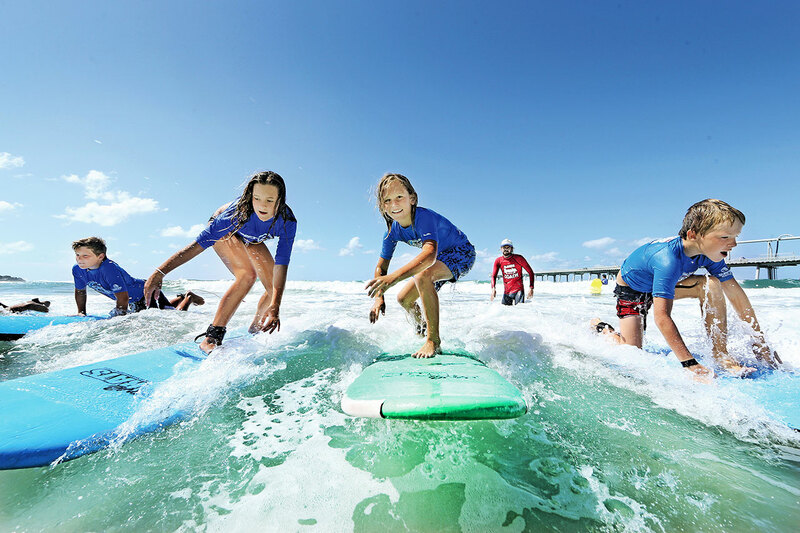 One your kids are comfortable standing on a surfboard and riding kid-sized waves in the whitewash, it’s well worth enrolling your kids in a professional surf school. So if you’re passionate about surfing, it’s well worth sharing your love for riding waves with your kids. As they may develop a lifelong passion for your favorite sport!